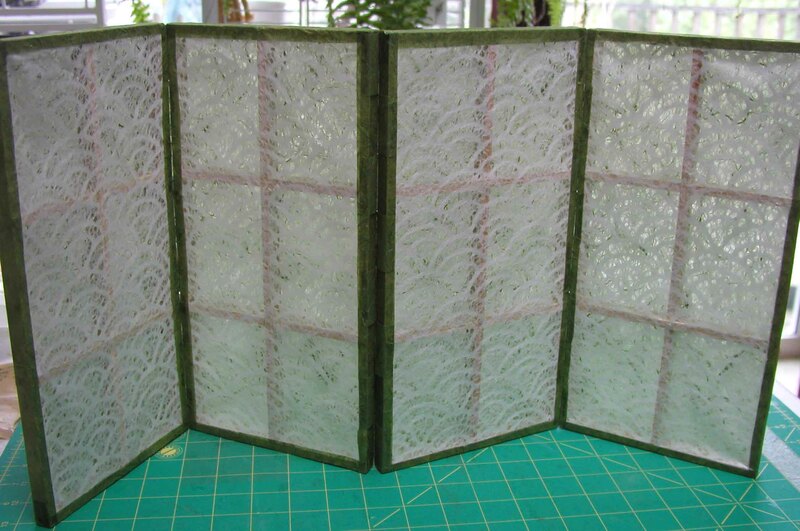 Here is the paper screen/ shoji screen project I learned during Helen Hiebert’s “Paper in 3D” class at Sitka. 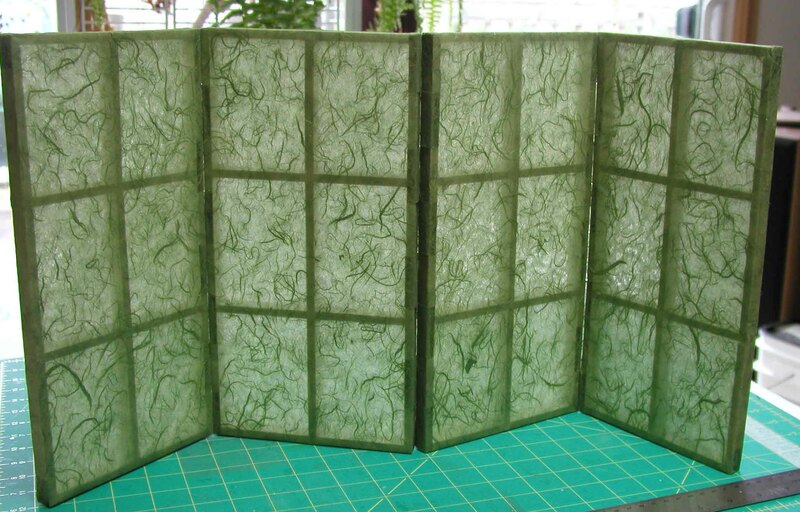 Each panel is 6″ wide by 12″ tall and created using balsa wood. 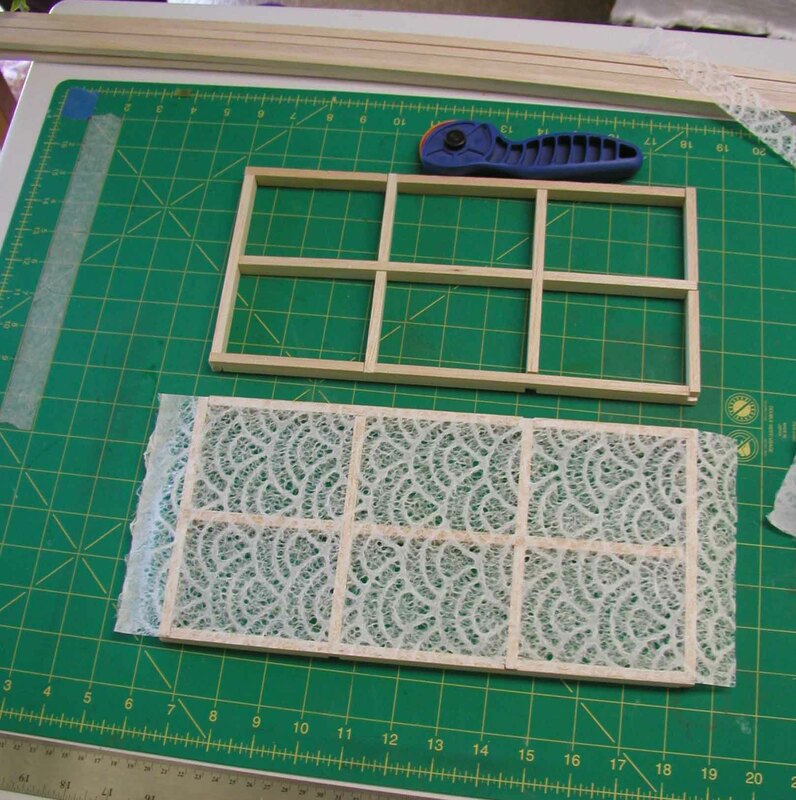 Cutting lace paper to cover one side of project. Front and back covered in Thai paper. Next step is hinges. 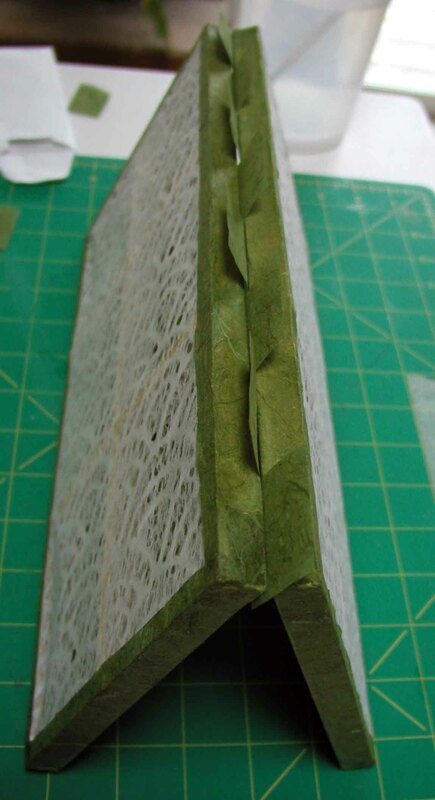 I started on the green side and attached paper hinges. Notice how it alternates sides. Flipping over the panels and getting ready to attach hinges to opposite side. Close up of hinge. If I had used contrasting colors it would have shown up more clearly. I feel like I have a long way to go before feeling comfortable with this new technique. 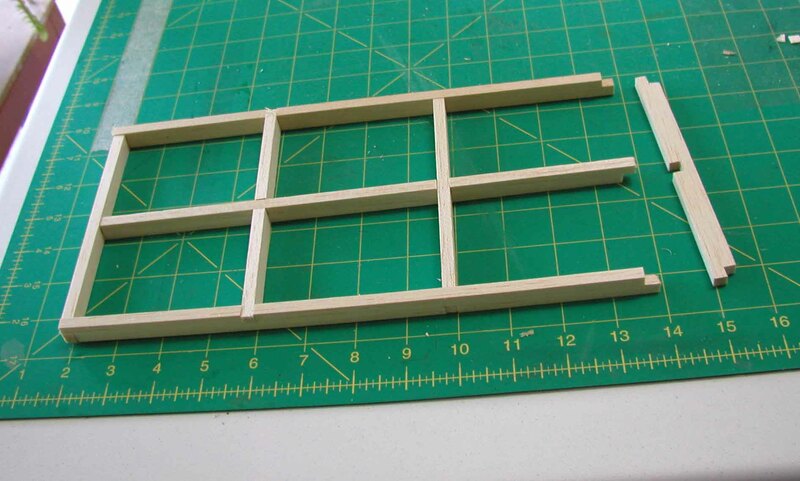 Getting the balsa wood to fit perfectly is challenging. 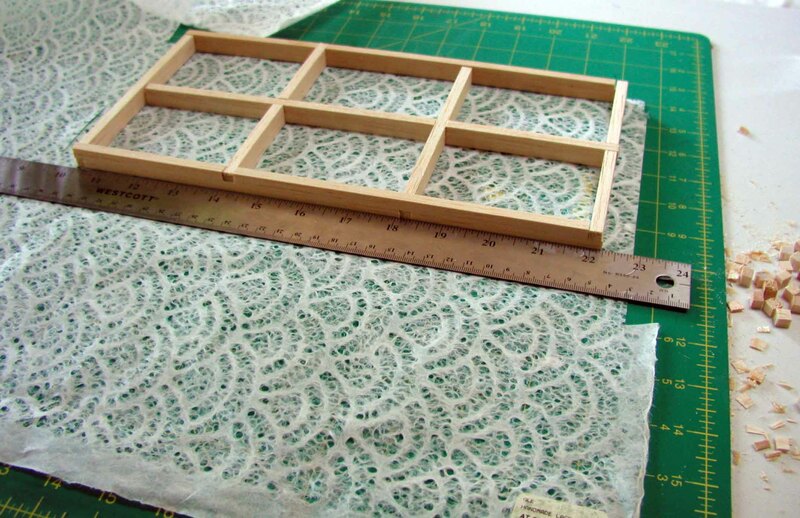 Using a small miter box with a fine saw blade helped enormously. One can always shave off more wood using an x-acto blade for a better joint. Great seeing an art post again!! It was just what I needed yesterday! Hoping to do some more today… if I can get off the computer! Ha! That’s beautiful, Gale. Is the last image the same paper as the ones above? Thanks Carol! Yep, it’s all the same thing. 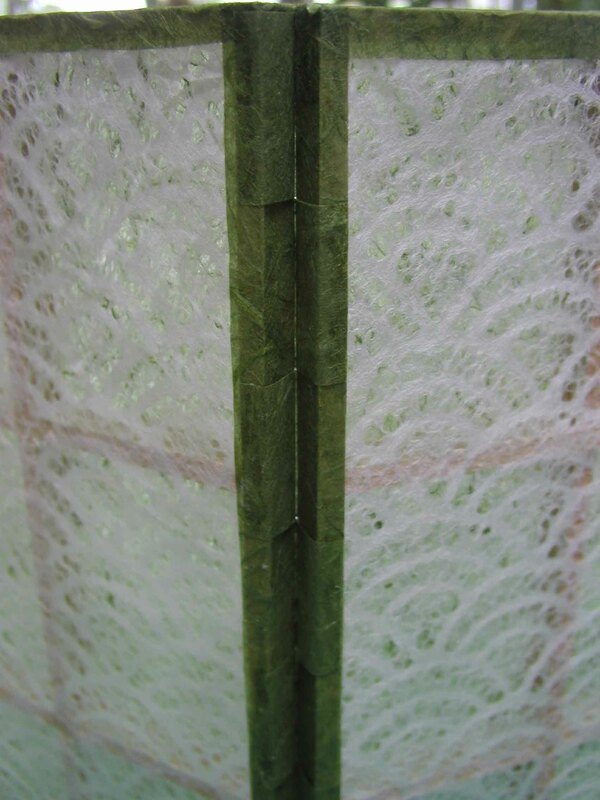 Green on one side, white lace paper on the other. 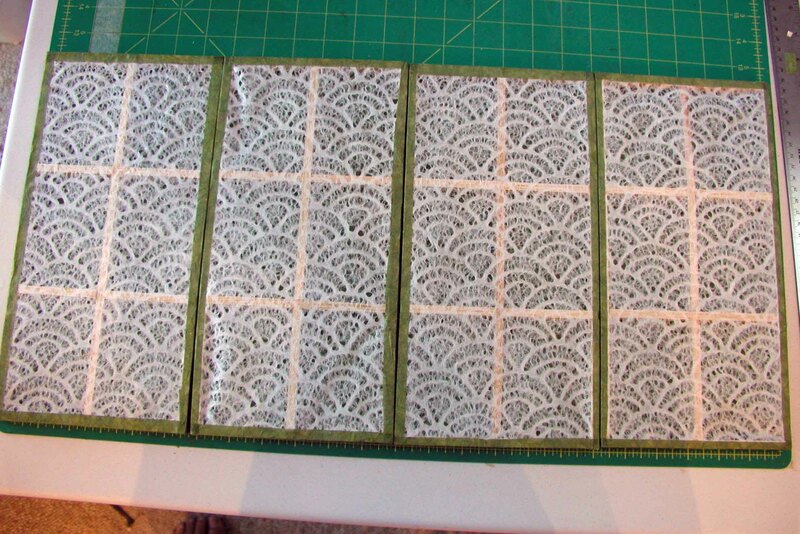 I just finished covering a small screen with 5 panels total. Might get images uploaded later this week. Ahh, now that WOULD be nice! Have any contacts? They should be easy to ship since they weigh about nothing! Yes, the color combo really worked on this one. I’m taking the 5 panel one into work to help screen off my messy desk. Might have to venture to Salem for more colorful card stock this week plus more Thai paper. Working on holiday ideas too… I really dislike thinking about Christmas in July but it’s a must. I sure don’t have contacts, but you know, I might keep my open. This is all very hypothetical, but instinct tells me the one tricky aspect is quality (it always is, here). 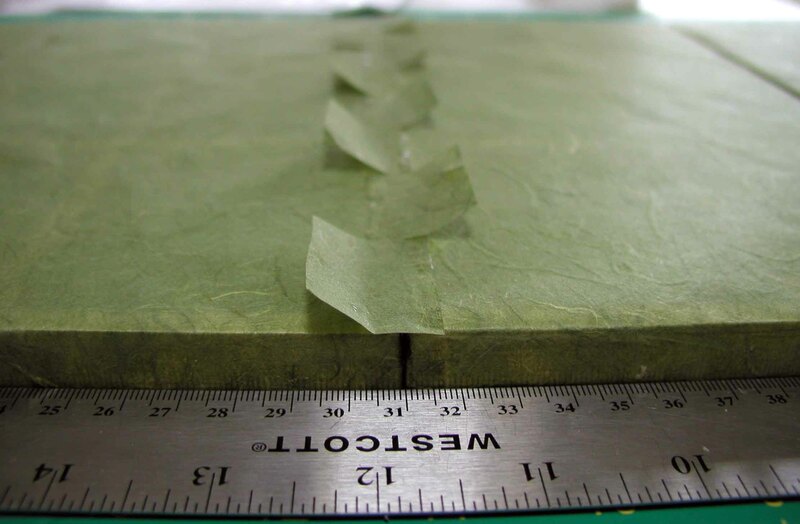 Would paper hinges hold up? If you were selling them on your own at a fair or flea market, it might not be such a big deal, though. Not to worry Chris. As you probably have noticed, I don’t stick to one thing terribly long! There is probably no way for me to be inspired enough to keep creating these, let alone market them in my area or even overseas. The hinges actually hold up quite well, unless you have an abusive person wronking on them! They probably have something very similar produced there or in China!